The Ryobi ONE+ radios aren’t a one-off in the company’s portable music product area. 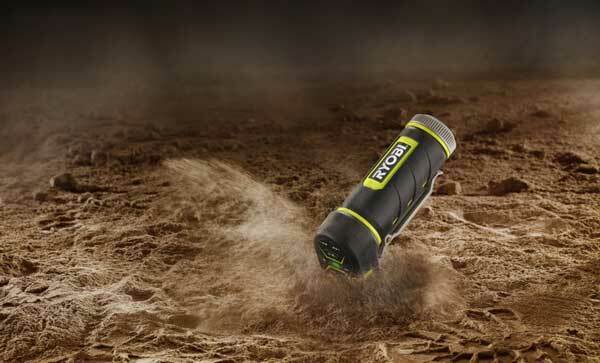 Ryobi TEK4 AllPlay Jobsite is a ruggedised MP3 player that will store 2GB of tunes, and run for 72 hours on a single charge. The AllPlay Jobsite is part of the TEK4 modular range of devices. The power unit(s) slip into a range of tools, such as drill, torch, noise suppression headphones, ruggedised digital camera, laser measuring device, laser levelling plumb and stud sensor. 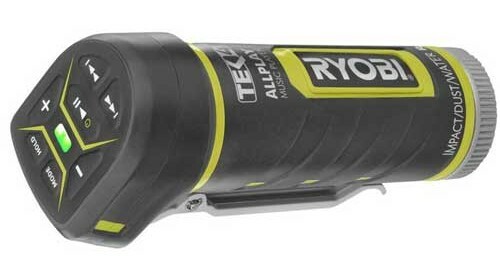 The TEK4 range isn’t listed on the Australian Ryobi website, indicating that it is not stocked as yet in this country. In the UK the AllPlay Jobsite MP3 player sells for £65. Strong spring loaded clip keeps the MP3 player secure on your belt, armband, etc.